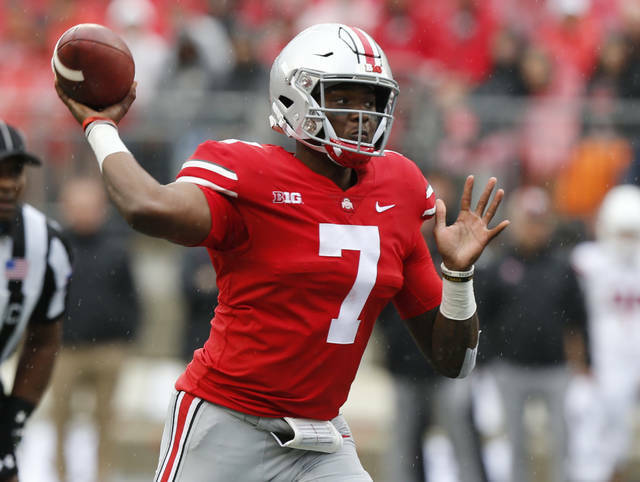 The fourth-ranked Buckeyes are rolling on offense, averaging 650 yards and 64.5 points through two games, and they’re 33-5 in road or neutral-site games since 2012. The No. 15 Horned Frogs have allowed a total of 19 points — none in the second half — and an average of 213.5 yards in their first two games. Still, they enter their first meeting with the Buckeyes since 1973 as two-touchdown underdogs. It’s a game that could have College Football Playoff implications. It also is the third, and final, game of Ohio State coach Urban Meyer’s suspension. Ball State front seven vs. Indiana offensive line. The Cardinals switched from a 4-3 to 3-4 base defense and lost three starting defensive linemen from 2017. No problem. They piled up four sacks, six other tackles for loss and held Notre Dame under 3 yards per rush in an eight-point loss. 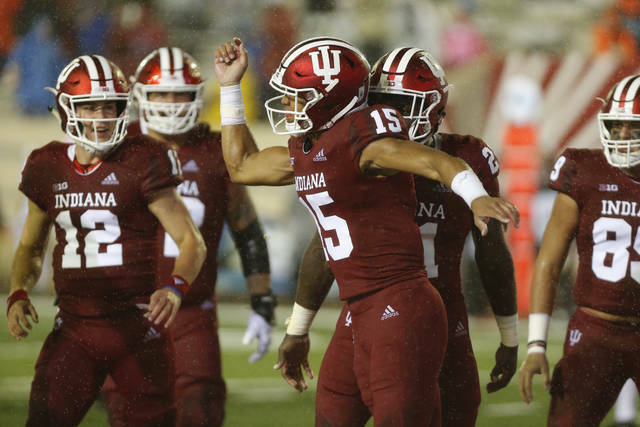 Indiana’s veteran offensive line has allowed one sack in two games and paves the way for a running game averaging better than 5 yards a carry. Of Nebraska’s 545 yards against Colorado, 492 were produced by players who were in their first game for the Cornhuskers. … Penn State and Wisconsin are 22-3 in their last 25 games. Only Alabama and Oklahoma, each at 23-2, have better records. Clemson also is 22-3. … Illinois has scored more points in each of its first two games (31 vs. Kent State and 34 vs. Western Illinois) than in any game last season (2017 season high was 24 points). … A win over BYU would give Wisconsin its 700th victory in the program’s 130 seasons. … Iowa is among four FBS teams to allow one touchdown through two games. … Maryland’s 444 yards rushing against Bowling Green were its most since going for 445 against Virginia in 1999. … According to Forbes magazine, Michigan has the most valuable football team in the Big Ten, averaging an annual profit of $75 million between 2014-16. … Minnesota goes into its game against Miami (Ohio) 18-1 in its past 19 nonconference home games. … Northwestern’s Jeremy Larkin has rushed for 100-plus yards in three straight games. It’s early, but the Boilermakers took a big step backward with that loss to Eastern Michigan, and their hopes for a second straight bowl under Jeff Brohm could hinge on this game. Purdue beat the Tigers 35-3 in Columbia last year, but Mizzou has won eight straight regular-season games and scored 40 or more points in each, with an average victory margin of 30.5 points. Purdue’s 107th-ranked pass defense must get better in a hurry against Mizzou’s Drew Lock, who’s throwing for 345 yards a game with eight touchdowns and no interceptions. The true freshman is probable for the game at Kansas after injuring his right (throwing) shoulder against Ohio State last week when trailing 35-0 just before halftime. 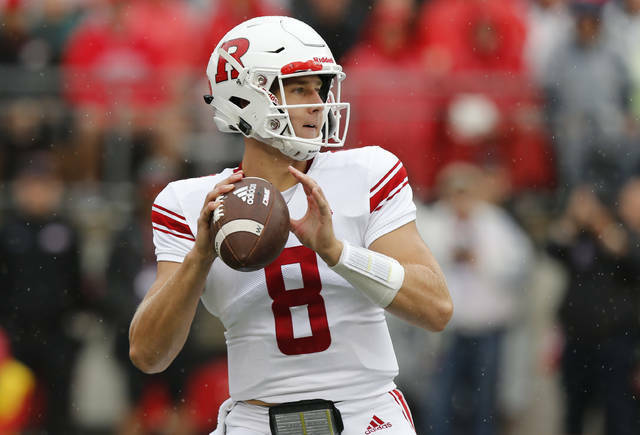 The Scarlet Knights are slight underdogs against a Kansas team that hasn’t beaten a power-five opponent since November 2016. Sitkowski was solid in the opener against Texas State, and he gives the Knights their best chance to avoid an embarrassing loss in Lawrence.